The primary elections, the only elections that really matter here in Missouri, will be here before you know it. 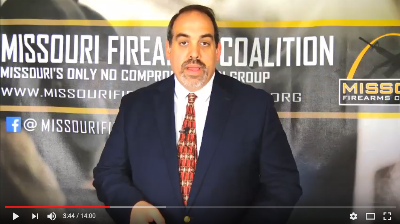 As Missouri’s voice for gun owners, MOFC has just kicked off a statewide candidate survey program as we work to get all the candidates on the record for or against your right to keep and bear arms. 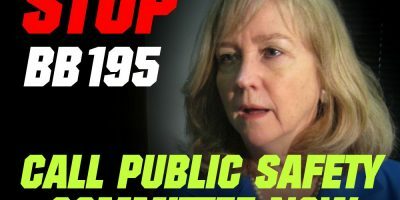 This program is essential in states like Missouri where virtually every single candidate running for office claims to be pro-gun -– but then does nothing to advance gun rights once safely in office. To explain more about this survey program and how you can be directly involved in this process of getting candidates on the record, I’ve asked our Policy Advisor, Aaron Dorr, to produce the video update below. You can watch the update here. As you just heard, this survey isn’t designed to make politicians look good by asking easy questions! These are hard-hitting questions that are designed to separate ‘fair weather friends’ from true leaders in the fight for the Second Amendment. Our gun rights are facing attacks from all sides right now, with more ‘pro-gun Republicans’ betraying us every single day. It’s never been more important that gun owners stick together and hold their lawmakers accountable. The MOFC candidate survey program is how we do that right now when we are out of session. These surveys have already been mailed out to your candidates. But as you heard in the video, you can print off your own copy here and present them to your legislative candidates right now! If you get a signed survey, you can mail it back in to us or you can scan it and email it to us. Either way, this is your chance to be directly involved in the fight for gun rights in your community! Remember, a candidate who won’t answer a simple 8 question candidate questionnaire now when they need our support the most, will very likely be an enemy to our gun rights once safely in office. P.S. The Missouri Firearms Coalition is your voice as a gun owner here in Missouri, but we need your help! If you are not already a member, become one today! And please print off our candidate survey and give it to your legislative candidates, so that we can find out where they stand on the Second Amendment!